Electric car sales will reach 480,000 units globally in 2015, according to leading consulting and research firm Frost & Sullivan. However, this is only 0.5% of overall global sales and won't improve significantly until electrified trucks and SUVs are introduced to market---along with better driving ranges and more charging stations. A leading consulting and research firm in Mountain View, California, Frost & Sullivan, has released its prediction for 2015 electric car sales. The group believes that about 480,000 battery electric vehicles (EVs) will be sold worldwide by the end of the year. The company estimates that 320,000 EVs were sold globally in 2014, meaning that the prediction for 2015 would equal a 50 percent increase in sales. While this is certainly impressive growth and reflects the slow process of mass adoption among consumers, it's important to put these numbers in perspective. Roughly 100 million new vehicles are sold each year worldwide, with about 17 million of those in the United States. Thus, even if half a million EVs are sold this year (it's only a prediction, after all), it will reflect only one half of one percent of overall sales of passenger vehicles. For those bad at percentages, that's one EV per 200 ICE vehicles sold, or a 200:1 ratio. There's ample explanation for these relatively low penetration numbers. While some will cite lower gasoline prices as having incentivized consumers to purchase cars featuring pistons powered by petrol, the primary barriers to mass adoption lie elsewhere. First, consumers---especially Americans and Canadians---prefer trucks to the small form factors and hatchback econoboxes that pervade the world of electric cars. 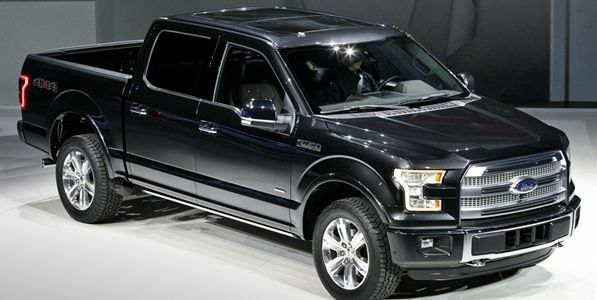 In fact, the most popular vehicle categories, in terms of sales volume, are full-size trucks and SUVs (like the venerable Ford F-150 and the Chevy Silverado). Americans simply prefer large trucks and sport utility vehicles for both work and play, and the lack of electrified versions of popular models within these vehice categories---regardless of engineering challenges---is hurting sales. Second, the driving range of electric cars is still grossly hobbled in comparison to their gasoline-powered cousins. An EV that delivers an 80 or even 100 mile range is still relatively pathetic compared to that of internal combustion engine (ICE) vehicles, most of which are capable of 300 to 400 miles on a single tank. While many will point to the Tesla Model S as proof that EVs don't have to deliver low driving ranges (Tesla's car offers ranges of 240 to 265 miles, depending on battery configuration), this model starts at $75,000 (topping out at $141,000). Not exactly the territory of average middle class consumers who are thinking of trading in their F-150, Camry, or Civic. Third, when ICE drivers do run out of gas, there's a fueling station on every corner to serve them. Thus, regardless of the range of one's gasoline vehicle, if there's ample opportunity to refuel, range anxiety is virtually nonexistent. Because America is the land of convenience, this is of major consequence. If consumers must go out of their way and make sacrifices to drive an EV, most will choose an ICE car. Unfortunately, EVs suffer not only very limited driving range per charge, but also a dearth of recharging locations. For the majority of EV owners, their gas station is their home garage and a 240-volt outlet. If they're lucky and work for a progressive company, their office might also feature a few charging stations. It's telling that EV owners who have long commutes and lack the ability to charge at work are often relegated to an ICE car, especially if temperatures are too low (or too high, like in Arizona or Texas), they drive long distances at freeway speeds, or their terrain is plagued by hills (all things that dramatically reduce the driving range of an electric vehicle). This is an ironic situation for city drivers. Most city commuting is well within the driving range of the majority of electric cars. Those who park on the street or in a parking garage, however---where they typically lack the capability to charge their vehicle overnight (unlike those who park in their own garage or driveway)---often cannot afford to indulge in EV tech. Until three things happen, the mass adoption of electrictrified personal transportation won't occur in North America. Auto manufacturers must first introduce full-size SUVs and trucks that are either plug-in hybrids or fully battery electric. In addition, driving range must dramatically increase (something remedied by plug-in hybrid vehicles). Owners must be capable of traveling 200 to 300 miles on a single charge in real world conditions. This means hills, use of climate control, and aggressive driving, while they certainly decrease EV driving range, should never take it below 200 or 250 miles. This is close enough to the driving range of ICE cars that drivers will begin mass adoption to experience the significant savings in fuel and maintenance experienced with EVs---not to mention the luxury of a quiet, vibration-free ride. Finally, the proliferation of charging stations must significantly increase. While many EV owners are satisfied with charging only at home---and are fully capable of conducting their daily work commute and errands in this manner---the majority of consumers simply are not willing to give up having a gas station on every corner (121,000 gas stations exist in the United States, with 10,000 in California alone). Until North Americans are given electrified versions of their favorite types of vehicles, mid and full-size trucks and SUVs, most will eschew battery electric technology for the tried and true ICE vehicle currently sitting in their driveway (or at a dealership awaiting their purchase). However, improved driving range and the greater availability of charging stations are also necessary to motivate drivers to make the transition to battery electric. Make no doubt, the future is electric. But until some significant improvements in both driving range and charging infrastructure occur---as well as the availability of plug-in hybrid and fully electrified trucks and SUVs---mass adoption of EVs won't happen. While nearly half a million global sales sounds impressive, EV proponents shouldn't get overly excited; adoption numbers, along with infrastructure and battery technology, have a long way to go. Nice article Curt. Yes more range and cheaper prices would help. The pickup truck and SUV are the dominate sellers in North American so I would agree Battery powered trucks and SUVs will be required to get a massive up swell in BEV sales. Great article. I want to see who the next automaker will be that starts rolling out their nation wide Supercharger network and battery Gigafactory. Then, I will only believe they are serious about the electric vehicles they intend to produce. Ford wouldn't need to offer all-electric trucks to start, merely to offer and support plug in electric-hybrid (premium) power train as an option like they do now for V8, deisel, etc, with 25-50 miles of electric range before using gas backup. Both efficiency and performance (instant torque) will improve. The main thing holding back wide adoption of any green technology is ignorance of the damage done by fossil fuels. The majority of people are not aware of the fact our present rate of species extinction is higher than the mass extinction that took out the dinosaurs 65 million years ago.